Who says you have to wait for the weekend to enjoy all the gluttony and indulgence typically characterized by brunch? 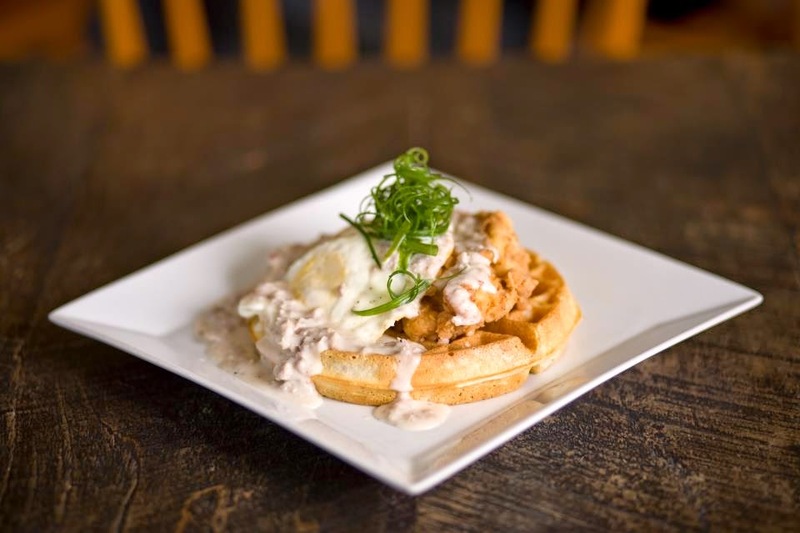 Wait no more, tomorrow Sessions Public in Point Loma is launching its brand new Waffle Wednesdays - offering guests their always popular Chicken ’n Waffles and Bottomless Mimosas. For $22 customers can now enjoy a heaping plate of Fried Chicken, Sausage Gravy and Eggs with all-you-can drink (responsibly and within reason) mimosas. 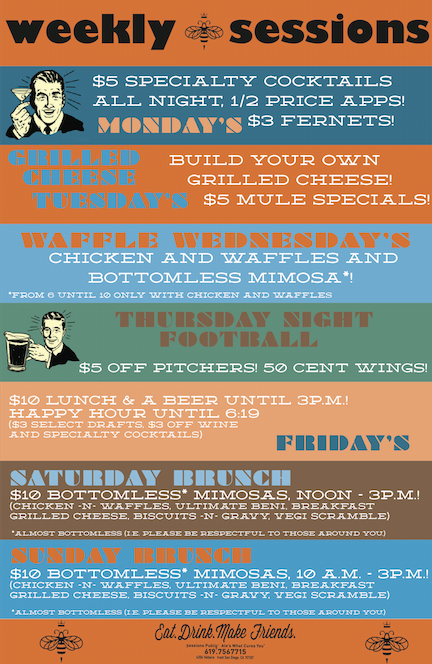 The offering is all part of a whole new slew of weekly specials that the restaurant debuted this week (see below). Specials also include Grilled Cheese Tuesdays with $5 Moscow Mules and Thursday Night Football with $5 off beer pitchers and 50 cent wings.